One weird thing about American hotels — they’re not satisfied with traditional table items. 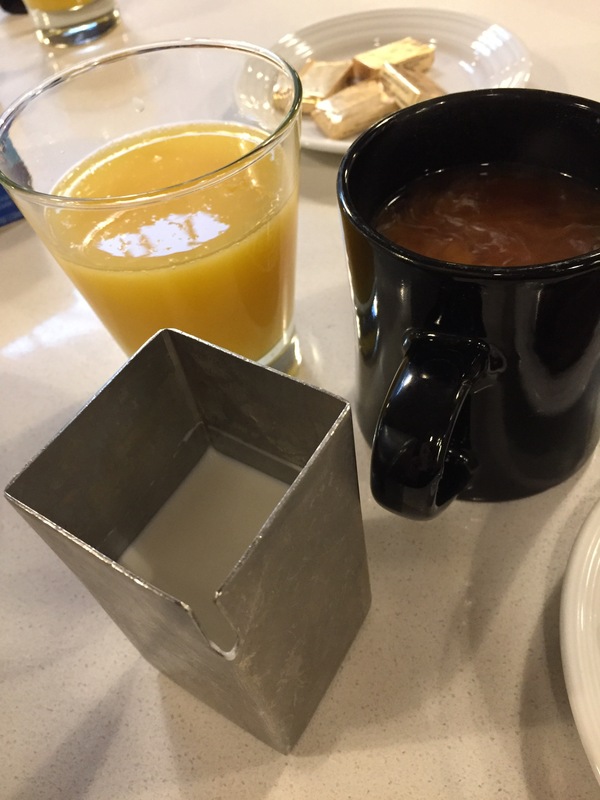 So instead of a little pitcher that immediately tells you it holds cream, you see a steel rectangle with a notch in the side . . . and you have to figure out it’s the cream dispenser. Well, I guess it helps you to get your brain working in the morning. Tomorrow we’ll see the finale of HBO’s Westworld. We’re being assured that all will be revealed, and after the episode the show will actually make sense. Yeah, right! I’ll believe it when I see it. That’s like expecting triumphant Trump staffers and bitter Clinton campaign operatives to reach friendly consensus on why Donald Trump won the election, or imagining that fair-minded Michigan fans will freely concede that the referees correctly spotted the ball on the 15-yard line after J.T. Barrett’s fourth-down keeper in the second overtime of this year’s classic version of The Game. I’ve stopped trying to figure it all out. Kish and I watch the show, and I just let it kind of wash over me, rather than struggling to make sense of why Dolores’ outfit changes from instant to instant or why Bernard’s interactions with his fake dead son are so significant. 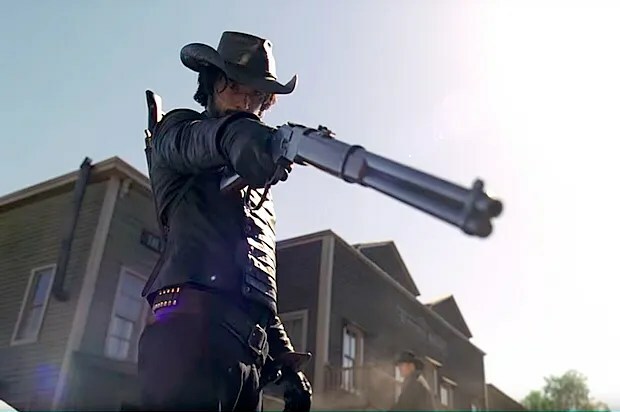 I realized that the show had reached the point of ridiculousness this past week, when I was walking back from lunch with two friends, one of whom watches Westworld and one of whom doesn’t. The watcher and I started talking about the show, and after a few minutes of discussion of “Billy” and the possibility that the show’s plot is running along different timelines and the importance of the photo of Billy’s bethrothed and whether the twitching beings at the church Dolores visited were troubled robots looking for some kind of salvation, the non-watcher asked, with a baffled laugh: “What is this show?” And I realized that it was all pretty silly. So I’ll watch the finale, but I’m not expecting that I’ll get everything in this episode, because that sure hasn’t been the case in the past episodes. I just make one request: before we move on to “the new narrative,” can you at least let us know what the old narrative was all about?